Zara's done it again. Or rather we should say Zara's TRF line has done it again. This time, it's the wide range of trend-led shoes that have got us wanting to spend all our money. The offshoot brand, which is considered to be the younger, more affordable arm of the store, often dishes out catwalk-inspired pieces, but this time it has surpassed itself with the range of shoes on offer. 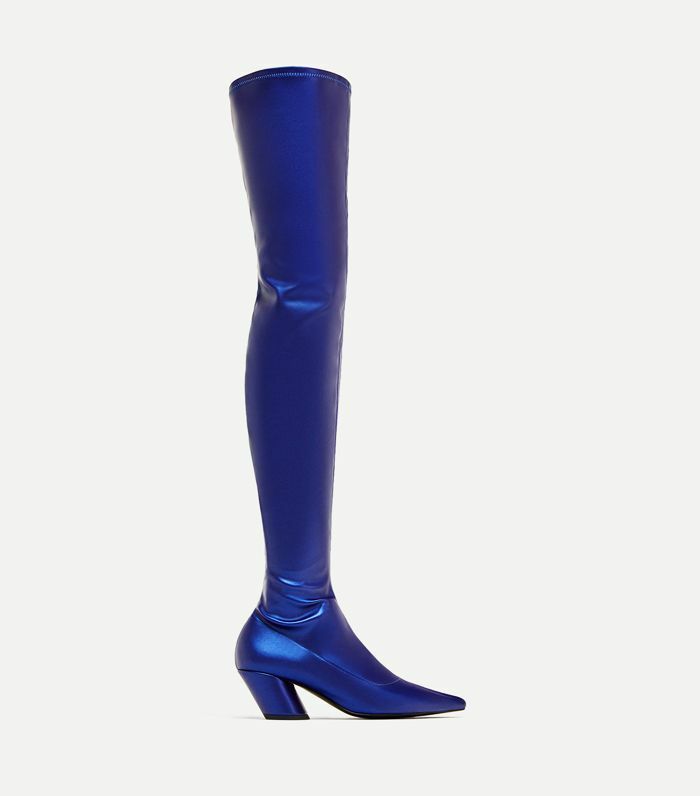 From over-the-knee boots (hello, Rihanna) to stompy black boots (a massive look for A/W 17), as well as plenty of pretty kitten heels to choose from, we know where we'll be shopping for shoes from now on. Keep scrolling for our pick of the bunch—just don't blame us if your bank balance hates you. To be worn with an oversized jumper dress. We can see Selena Gomez wearing these. The sock boot isn't going away any time soon. So chic for the office. A fancy flat will go far. So easy to wear and not hard on the knees. Cute heels don't have to be high. The Hadid sisters would be all over these. Another mismatched pair of shoes—guaranteed to get you attention. Another one for the velvet lovers. We're still loving pink too. We can't believe these are under £100.